Hopping by to say hello! I love today's painting! 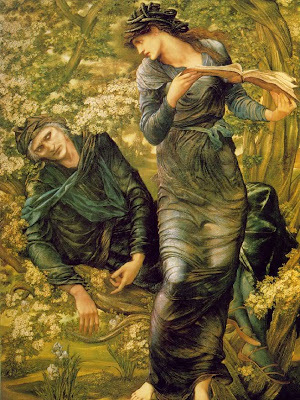 It was on the cover of a book I enjoyed, Merlin's Harp. Have a great weekend! I "followed" the "hop" and came by to say have a great weekend! Hi! Just hopping by as part of the Book Hop. Love your blog and I'm now a follower :). Hi. I'm a follower via the Hop and would love to welcome you at my new blog home. Thanks so much for stopping by my blog, Mindful Musings! I love today's painting as well! It's always fun to get to see different pieces of art. Hope you have a great weekend! Thanks for following me! I look forward to reading your reviews. Have a great weekend! Hopping around and visiting...have a fun weekend. Thanks for stopping by my blog - thought that I'd check out your site too. Love the painting you posted for this week's hop! Have a great weekend! Thanks for stopping by my blog! Yours looks great. I'll be wandering around for a bit! Hi! Following you back from the Hop. Beautiful painting you chose this week! I hope you have a lovely weekend! Just stopping by from the hop. Thanks for visiting me. Enjoy your weekend. Hopping by to say hello! Thanks for stopping by my blog today! I'm a new follower here! Hi E.J.! Thanks for stopping by my blog. Here I am again. :) I love the picture! Just googled about it to find out the name and its history. Thank you for stopping by. Pussreboots. Thanks for hopping my way! Hopping by for a return visit and follow! Thanks for stopping by! I'm just stopping back to say hello as well! Visiting you from the Hop! Better late than never right?! President Bush signed the Ryan Haight farmacia on line Protection Act H.
kicking in looks to be the election year of big bucks.